Over the past five years, OEMs have increased their expenditures for emphasized R&D approaches by over 30 percent (AlixPartners Global Automotive Outlook 2017). This reflects the trial of creating new transmission concepts to tighten emission targets for a more electrified fleet, and we will see engine and drivetrain components facing significant changes over the next decade to adjust to electrification. We previously highlighted how PM-designed e-drive gears provide solutions for powertrain manufacturers in a recent blog post – read that here. This time, we’re giving an insight into our innovation strategy to manage the increased technical complexity of hybrid vehicles and components. Did you miss the first part of our R&D strategy? Catch up here. In the past, our Advanced Technology teams had a strong focus on material and process innovations, including support to our engineering teams in delivering make-to-print parts. 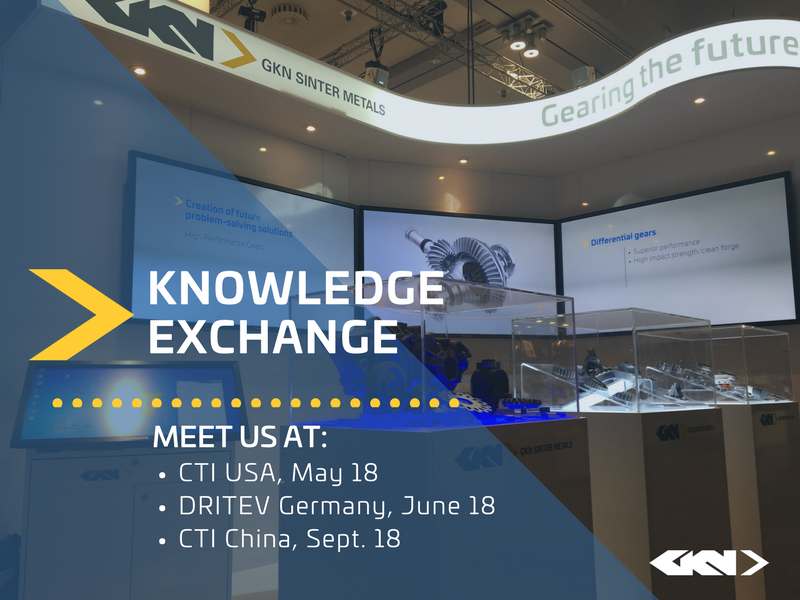 This led to GKN Powder Metallurgy leading the development of press and process technologies and materials that guaranteed high quality and cost effective components. The development of lower alloyed PM materials with improved performance with the development of special high temperature furnaces is one example. We have also developed PM gears that can stand higher loads by introducing new steps to our production process like surface densification and intensive research on gear performance testing and process simulation techniques. However, based on the Internal Combustion Engine concept in the automotive world, the PM industry has not put much effort to find new engine and transmission concepts. Now, technical drivers and product groups change and we needed to take this into consideration with our innovation strategy. Hybrid (HEV) and full electric vehicles (FEV) have the ability to take up to two thirds of the market within a decade, and series volumes for new transmission systems will shrink with this market fragmentation. Suppliers face new challenges: the change requires us to have a more comprehensive understanding of the application and be more involved in the development of a new system. Cooperation needs to start much earlier to help us understand the overall design concept and requirements, and develop ideas in a joint process. The key drivers for electrified drivetrains are asking for higher performing and lightweight materials and designs, and increasing requirements for NVH; especially for the high speed e-drives. Silent gears for silent transmissions regularly rank high on an engineer’s wish list for the future electrified transmission world. 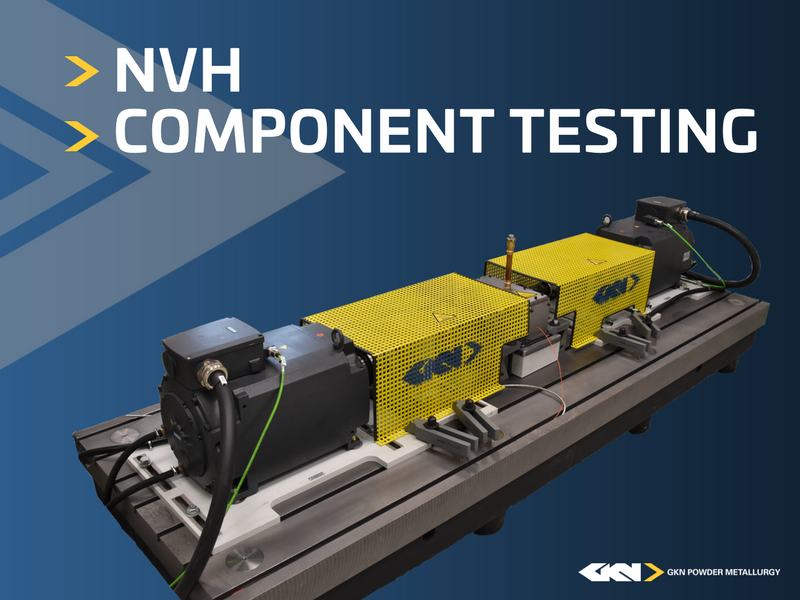 GKN Powder Metallurgy has invested in test facilities that enable fast and reliable component testing of structure born noise as a key indicator of the NVH behavior. The electrification push of the future will directly connect the e-motor running at up to 30,000 rpm with the gear box. As a result, transmission components will have to meet additional requirements like a stronger NVH performance and higher strength. We have reacted quickly to this and invested in resources for in-house testing. At an early stage of development, we can help our customers with component NVH tests. Based on these capabilities, we can now provide data beyond the early stage simulation techniques. For example, we can demonstrate the NVH potential of different solutions for e-drive gears through A/B testing, which gives our customers a much better basis as the development process moves on to tests within their system. Having an improved set of information for each part of the system makes it much easier and faster to identify failures when all pieces come together in a complex assembly. Having a close and regular exchange with leading research institutions is another important aspect of our strategy. A key to successful partnerships is initiating cooperation projects and providing a well-funded platform for discussions along the value chain of future transmissions. We also learned that it is much better to discuss our ideas at an early stage together with our customers. Here is an example: The first indications for the potential of PM gears to improve NVH behavior resulted from a joint research project with one of the leading university institutes in the market. We continued the project with performance validations and today we discuss the results together with our customers to define the requirements for a real-life application within their systems. Based on our positive experience in the past, we have no doubt that the innovation challenge will drive a stronger collaboration agenda in the automotive industry. It will require a new level of openness from all parties and the willingness from component suppliers to develop a more comprehensive understanding of the entire system and application beyond the product. We have adopted this strategy for our own development and have made progress in moving from a make-to-print supplier to a preferred development partner for metal shaped solutions. We develop our technical resources to deliver innovative solutions and products for electrified transmissions and drivetrains – and beyond.